“Special Counsel Robert Mueller’s investigators met this past summer with the former British spy whose dossier on alleged Russian efforts to aid the Trump campaign spawned months of investigations that have hobbled the Trump administration,” CNN reports. President Trump was “furious” after hearing the report that Secretary of State Rex Tillerson called him a “moron,” NBC News reports, citing five unnamed senior administration officials. “White House officials believe that chief of staff John Kelly’s personal cell phone was compromised, potentially as long ago as December,” Politico reports. An explosive cache of documents obtained by BuzzFeed News proves that Stephen Bannon sought to make Breitbart a platform for white nationalists, despite his comments last month that “there’s no room in American society” for neo-Nazis, neo-Confederates, and the KKK. Rep. Tim Murphy (R-PA) has resigned effective October 21, according to a statement from Speaker Paul Ryan. “President Trump plans to announce next week that he will ‘decertify’ the international nuclear deal with Iran, saying it is not in the national interest of the United States and kicking the issue to a reluctant Congress,” the Washington Post reports. “Senate Republicans are running into internal resistance to their proposed repeal of the estate tax, making it a potential casualty of the trade-offs the GOP faces in its effort to overhaul the tax code,” the Wall Street Journal reports. “The National Rifle Association endorsed tighter restrictions on devices that allow a rifle to fire bullets as fast as a machine gun — a rare, if small, step for a group that for years has vehemently opposed any new gun controls,” the New York Times reports. The story about the Idaho town and the anti-refugee rally made up by Russia tells you everything you need to know about Trump supporters. If you haven’t watched the video DD linked to, go watch it now. Facts don’t matter to this group. Nothing penetrates their mindset. And when pressed to support their “claims” they cannot do it. And not being able to support their claims doesn’t matter to them one bit. They know they’re right. Nothing will sway them. The reason nothing will sway them is because they already believed that Muslims are terrorists, black and brown people are criminals, LGBTQ people are corrupt, feminists are evil, etc.. Russia didn’t create anything. It targeted what already existed – racism, bigotry, misogyny. That’s why Russia was so successful. They only tapped into a full keg. No wonder the GOP is worried. They either have to keep catering to blatant ignorance and prejudice or lose a primary to someone further to the right. Hello? Roy Moore. Trump and his supporters become furious at being called morons. That should be part of the strategy against him (without using the word moron, obviously). He’s fine with being called a racist, bigot and misogynist – those labels actually help him. His base is fine with those labels, too. But question their intelligence and BOOM! he and his supporters lose it. There’s no winning over these people, btw. No wooing or courting will work with them. No policy will entice them. Those that still support Trump aren’t suddenly going to change their minds and vote for Dems if only we had the “right” message. Which is the monster they created, right? Pander to what they think they know and never ask for any aspirational buy-in. If you haven’t read the Buzzfeed article on the alt-right as marketed by Breitbart, it is a part of the same story. Build a coalition built on disinformation and the rage of white people. As a longtime fan of Weekly World News, I would argue we’ve had disinformation for a long time. It’s the white rage that has increased, along with white ignorance — a product, I would argue, of increasing attendance at white-flight charter schools across the country. Not many people voted for candidates because Bat Boy told them to. Fox News and the rise of right-wing media is part of what broke it. And the fact that EVERYONE rushed (and still rushes) to validate Fox news just helps the deluded stay deluded. No, not Bat Boy — the Alien! He endorsed every winning candidate from Bill Clinton on! And all the losing ones, too! Well said and much too true. Small minds tend to remain closed and bitterly resent any attempt to make them explain themselves, as noted they “know” their right and logic or graphic proof matter not. At the U. of Delaware I learned not to argue but to discuss the issues, note to the ivory tower, discussion is only possible with two willing participants. As for Russian meddling in the 2016 election it has now taken on the properties of global warming, responses from the right being it’s a hoax or a Democratic scheme, take you pick. On even casual observation the ever increasing amount of Republicans known to have contact with the Russians just keeps growing and going. 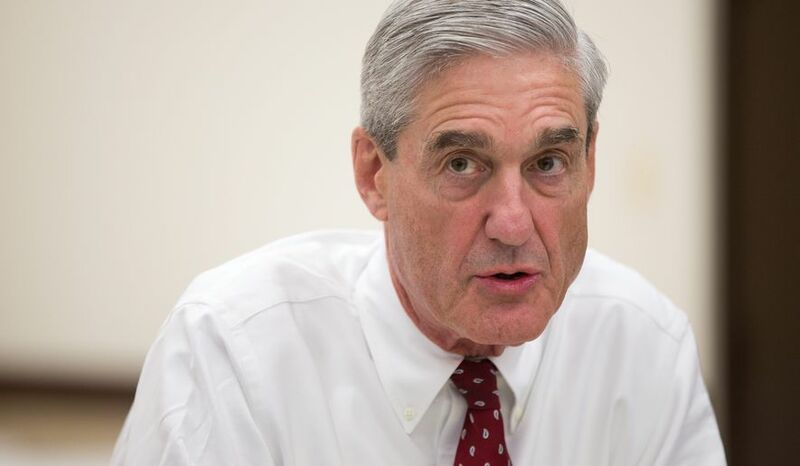 Mueller is in no hurry and knows that the wheels of justice turn slow but exceeding fine, it will take time but I suspect he will find the devil in the details at which point temples will fall and heads will roll. But don’t hold your breath, it took a long time to topple Nixon as well. responses from the right being it’s a hoax or a Democratic scheme, take you pick. This response to the Russian meddling also comes from the “Far Left” too. Who too often see it as unnecessary drama in the way of their Everything is Hillary’s fault issues. It’s also due in part to their longstanding mistrust of the CIA/intelligence community and its demonization of Russia. Not saying they’re right (though trusting the intelligence community is always risky), but I think that’s also part of their motivation. Also not saying Hillary hatred doesn’t play a bigger role, just that they have more than one reason to resist the obvious. Myself, I’m starting to notice the lack of interest in determining whether actual vote totals were hacked. That feeling we all have that something’s not right, that there couldn’t have been that many voters who broke for Trump — maybe that feeling is well-founded. The Republican insiders are acting strangely disinterested in Russian election meddling, and I don’t think it’s only because they won. It could well be it’s because they know something more than we do. Remember what Paul Ryan said when that dope Kevin McCarthy blurted out that he thought Rohrabacher and Trump were on the Russian payroll — this stays here. What must Republican insiders know if even McCarthy figured that much out?